Article also available at Black Girl with Long Hair! My facial care regimen is cut and dry compared to my hair one. For the most part, I cleanse then moisturise - exfoliating twice a week and doing an intensive mask once a week. Generally speaking it works, but I've always felt like my skin could be better - maybe some smaller pores here, less breakouts there, more even tone, the list can go on and on. Then one day, I realized I was skipping a step: toners and astringents. As a bonus, you can mix and match all of these to make your own special skin concoction! Grab 3-4 handfuls of roses (about half a dozen or so). If you don't grow them at home, visit your local flower shop or grocery store and ask about the roses they'll be discarding - it's okay if they're wilted. Chances are, you can get them at a steep discount or even for free.99! Wash the petals twice under cold water - once while still attached to the stem, and again after you've plucked them. Don't want you making spider rose water! Place the petals in a pot or pan (that has a lid), and add enough water to cover the petals completely. Simmer them on medium-low heat for 15-20 minutes. Allow the mixture to cool, then strain the petals. You can pour it into a spray bottle and add glycerin and essential oils of choice (like rosemary) OR pour rose water into cubes and freeze them for later. Likely one of the more popular natural astringents, witch hazel works well to tighten pores, remove oil and dead skin cells, deeply cleanse pores, shrink blackheads and acne, and reduce irritation. 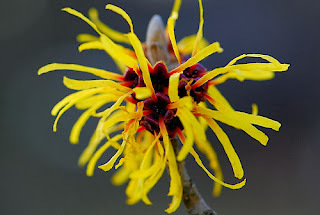 Witch hazel is high in tannins, which will give you those lovely anti-aging benefits listed earlier in this article. Common drugstore-brand witch hazel can be purchased at places like Target, Walgreens (Duane Reed), and CVS for around or under $2. If your skin isn't incredibly sensitive or prone to drying, definitely spring for those options because they do contain some alcohol as a preservative. For those who don't prefer alcohol, Thayer has several varieties of alcohol-free witch hazel available for around $8 (slightly over the $5 mark...I fudged a little - sorry!) that you can pick up from places like Vitamin Shoppe. To use, just apply witch hazel to a clean facial towel or cotton round. Depending upon which type you use, following up with a light moisturizer may be ideal. I carry around a little spray bottle of witch hazel with a few drops of rosemary essential oil in my gym bag, to clean my face after a workout. ACV is a personal favorite of mine. The smell doesn't bother me so much - but I do understand that it grosses some people out (the BF can't stand when I'm using ACV spritz around him). In all seriousness, is there anything apple cider vinegar can't do?! I've rekindled my love affair of it recently with my braidouts (click here for the deets on that), and have been incorporating it into my facial care regimen. Apple cider vinegar brings its pH balancing properties to the skin, as well as minimizing pores, evening skin tone, smoothing skin, reducing and preventing breakouts (due to the antibacterial and antifungal nature), and relieving skin conditions such as psoriasis and eczema. That last point is a real heavy-hitter for me. For the last half of the summer, I've been battling this dark patch of scaly-like skin on my forehead (my psoriasis shows up when it wants to). It goes largely unnoticed, because of the way I wear my hair parted. But when I pull my hair back, it's there in all of its glory. I've tried my prescription ointments, exfoliating the crap out of it, natural oils and butters, masques, lotions, and more. At best, all I could ever do was make it really smooth. But once I began using ACV after my face wash at night, I noticed that little by little, it began to fade and lighten. It still feels a little rough, but I don't have to go out of my way to exfoliate that one spot, or try to peel at it throughout the day. BUT - the ACV definitely tamed the beast. I just pour a little ACV onto a cotton ball, and wipe across my face after washing. You can also dilute it with water, rose water, witch hazel, or glycerin. As with all natural ACV uses, raw and unfiltered with mother is best. I prefer Bragg's or Vitamin Shoppe brand apple cider vinegar, both of which cost between $3 and $4 for a 16oz bottle. Green tea is one of those things that benefits the body, both inside and out. As a matter of fact, I need to start drinking it again and stop using it for my hair and skin only, haha. 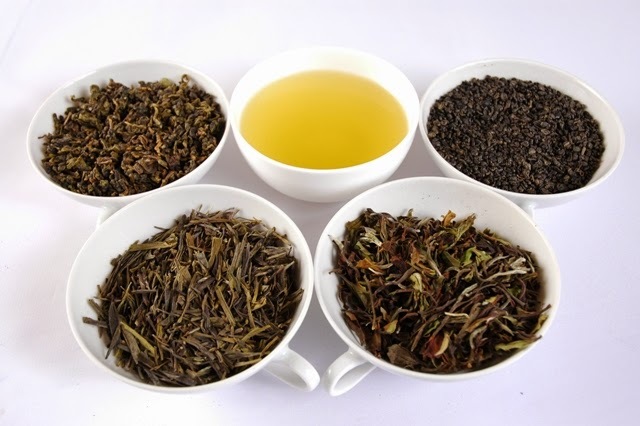 The caffeine content in green tea helps to stimulate circulation, promoting youthful-looking and elastic skin. It also has tons of anti-oxidant properties - fighting free radicals (anti-aging), toxins, and even providing UV protection. It reduces inflammation, tightens and shrinks pores, and give skin a youthful glow. To make a green tea toner, simply brew a bag of (or a few tablespoons of loose) green tea in a cup of water, allow it to cool, and pour into a spray bottle. You can also mix in witch hazel, lemon, honey, essential oils, glycerin, and even baking soda - depending upon your skin's needs. Green tea can be purchased anywhere (seriously) for under $4. Save the mint from your mojitos! I'm kidding, but you do need some mint leaves for this one - or at least mint tea. In addition to smelling great, mint is a wonderful astringent that improves skin tone, relieves itching, and calms inflamed skin. It is high in salicylic acid, which makes it ideal for fighting acne and breakouts, and exfoliation. Salicylic acid is the active ingredient in many blemish-fighting skincare products, and many products for psoriasis as well! Save your money, and muddle some mint. To make your own mint skincare concoction, brew a cup of mint tea, allow it to cool, and pour into a spray bottle. You can also steep a few tablespoons of dried or fresh mint leaves in about 6oz of water. Feel free to add any number of essential oils, or other astringents from this list to up the benefits of the toner! Do you make your own toner or astringent? Share your recipe in the comments! One last note: The major downside to DIY hair and skin products is shelf life. Store products have preservatives, which allow them to sit around for longer before going bad. Unless you have preservatives at home (for rose water, green tea, and mint - the witch hazel and ACV are antibacterials on their own), it is always best to make just enough to use within 5 days, keep it refrigerated, and/or freeze the extra. Very helpful article. I will definitely use these products as I love to use the natural skin care products. I have started using cream by lifecell and the results are amazing.